Jack has been adjusting pretty well to this new routine of Kindergarten. He eagerly gets himself dressed in the morning, excited to wear his new clothes and shoes. He walks up the hill to school with pride, bouncing and telling me more stories from the day before as he processes what lies before him on this day. He is making friends- one child even brought him a cookie yesterday for lunch- although he doesn't seem to know more than a few of his classmates names. He eats a big breakfast in the morning after learning on the first day that there are no snacks before lunch; he told me "I couldn't play much on the first recess because I was so hungry that my belly hurt." All of this make me proud as I watch him find his own way (aside from the being hungry part which made me incredibly sad). But, I can also see between the lines and I know he still has some nerves that are being rattled, some fear over what this school thing is all about. "School is boring" he said this morning, when I think what he really means is that it is uncomfortable, so full of unknowns. Overwhelming unfamiliar. And this makes me feel helpless and a bit worried for him. Some days while he is away, and I hope doing fine, I start to let that terrible mother guilt invade my mind. What could I do differently to help him with this tranisition? I should have talked to him more about what to expect. I should have reminded him that most children do not yet know how to read and that it’s okay if he needs to ask a friend their name rather than read it from their name tag. I should help him understand that going to the bathroom during classroom time is perfectly fine and that big kids on the playground may not want little kids to play with them after school and this is also okay, it doesn't mean that they don't like you. She is always right there when I need her..."
So, perhaps the best thing I can do is to stand on the sidelines cheering him on, reminding him that he can do this! I will continue to provide encouragement, support, and love. I will assure him of his bravery and talents and keep reminding him to be the sweet, curious, friendly boy that I know he is. I will fill our home with comfort so he can stretch and breathe and be who he needs to be as he processes his new role as a Kindergartener. 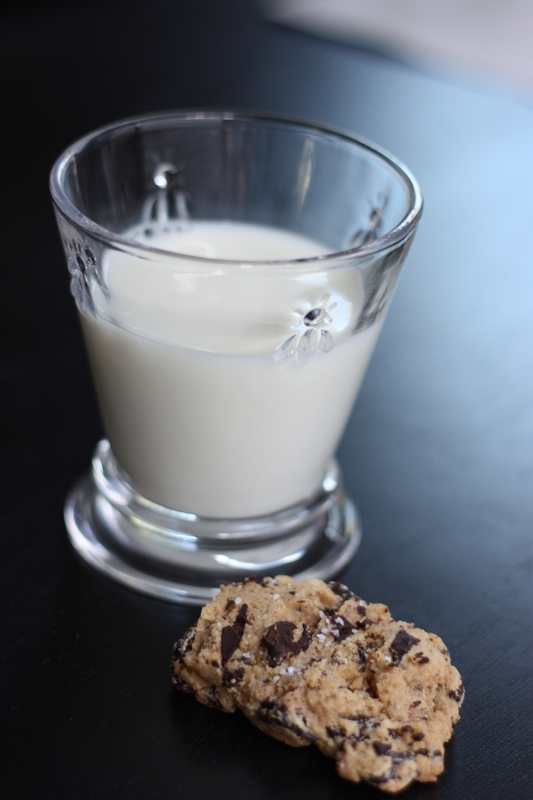 And, of course, you can be certain that there will be plenty of after school treats, like our favorite chocolate chunk cookies, to get us through both the good days and the tough ones. 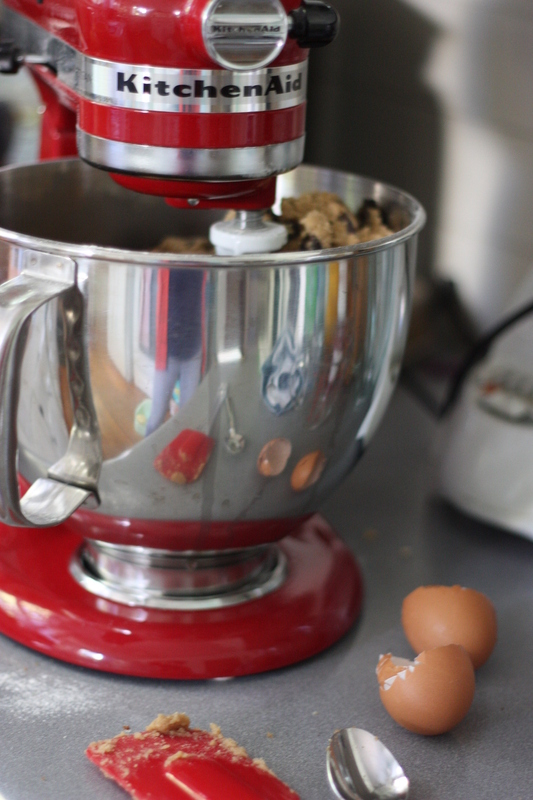 In the bowl of a stand mixer, combine the butter, brown sugar, natural cane sugar and vanilla extract. Mix with the paddle attachment on medium speed for 2 minutes. Scrape the sides and bottom of the bowl. Add the egg and mix until combined. In a small bowl, whisk together the flour, salt, and baking soda. Add the dry ingredients into the butter mixture and mix on medium speed until the dough comes together. Add the chocolate chunks and mix until thoroughly incorporated. 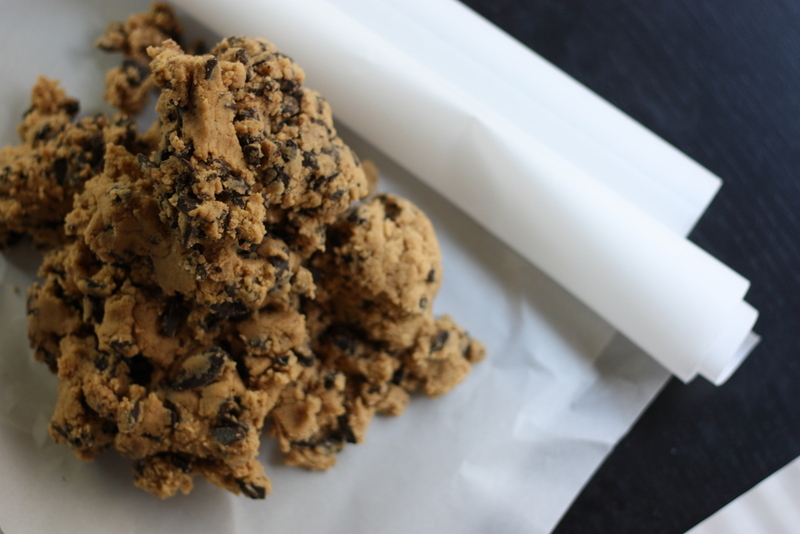 Scoop the dough onto a piece of parchment paper. With the help of the parchment, roll the dough into a log that is approximately 2 inches in diameter and 12 inches long. Wrap the log with the parchment and refrigerate for at least 1 hour. After an hour, preheat the oven to 350 degrees. Cut the log into 1/2-inch disks. 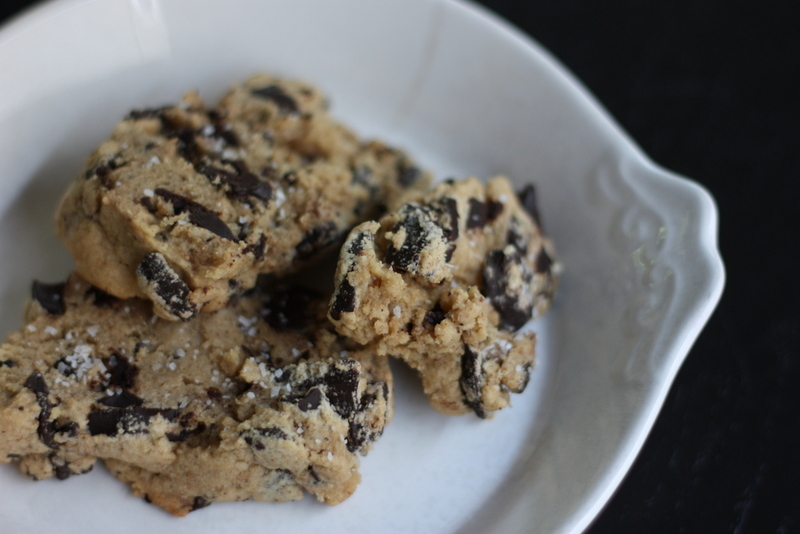 Place them on baking sheets lined with parchment paper or silicone mats leaving 2 inches in between the cookies. Sprinkle the tops with Kosher salt. Bake for 11 minutes or until edges set and start to turn golden. They might look a bit underdone, but trust me. They will harden as they cool and slightly under-baking them will keep them chewy and moist. Let the cookies cool on the baking sheet for 5 minutes before trying to lift them. Store them in an airtight container for up to 5 days. 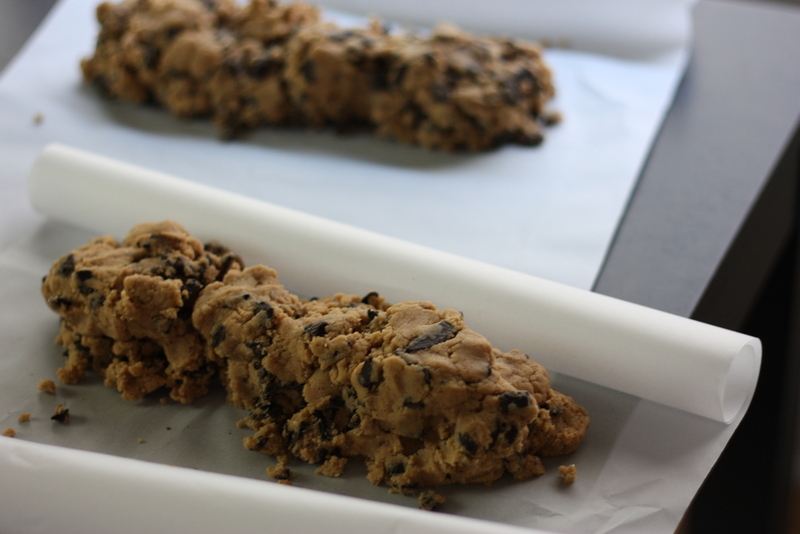 The dough logs freeze well in the parchment paper and then tucked away in a ziploc bag. I always make 2 batches of this so we have plenty at the ready. Some days just call for a good cookie, am I right?